Senior Turkish official says Secretary of State heard alleged audio recording of Jamal Khashoggi's murder. US Secretary of State Mike Pompeo has heard an alleged audio recording of Saudi Arabian Jamal Khashoggi's murder inside the Saudi consulate in Istanbul, a senior Turkish official told ABC News on Thursday. 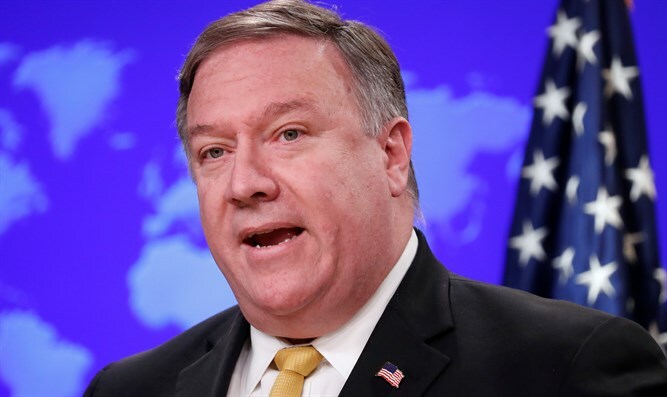 Speaking exclusively and on condition of anonymity, the official claimed the recording was played in meetings in Turkey on Wednesday, and that Pompeo was given a transcript of the recordings. ABC News has also learned that Turkish officials believe that Khashoggi was killed inside the Saudi consulate following a struggle that lasted eight minutes and that they believe he died of strangulation. The White House referred questions to the State Department which denied Pompeo had heard the recording. "The secretary addressed this yesterday. He has not heard a tape," his spokeswoman Heather Nauert told ABC News in an email. Asked about receiving a transcript of the recording, Nauert replied, "I don't have anything on that." Khashoggi has not been seen since entering the Saudi consulate in Istanbul more than two weeks ago. Turkish authorities say he was killed and dismembered, but the Saudis have denied involvement. President Donald Trump said on Wednesday the US has requested audio and video from Turkey related to the disappearance of Khashoggi. "We have asked for it, if it exists," Trump said in the Oval Office, later adding that it "probably does." "I want to find out what happened, where is the fault, and we will probably know that by the end of the week," he added. On Thursday, Trump said that it "certainly looks" as though Khashoggi is dead, and stressed that the consequences for the Saudis "will have to be very severe" if they are found to have killed him. Pompeo met with the president at the White House on Thursday morning to brief him on his visit to Turkey and Saudi Arabia, where he met with Saudi King Salman and Crown Prince Mohamed bin Salman, according to ABC News. It is unknown whether Pompeo shared the transcript with the president.